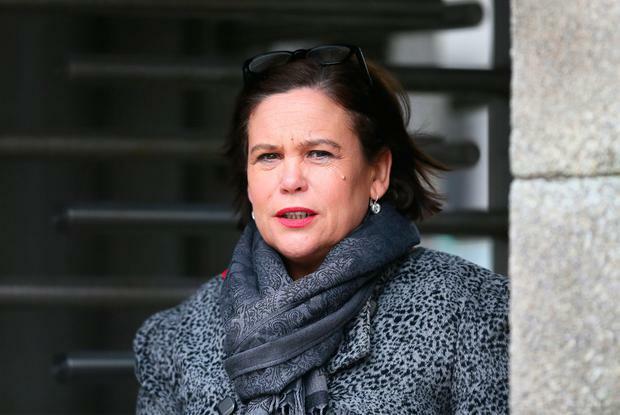 SINN FEIN'S Mary Lou McDonald is now a more popular political leader than Fianna Fail’s Micheál Martin, according to the latest Sunday Independent/Kantar Millward Brown opinion poll. The new poll shows satisfaction with Mr Martin’s leadership dropping behind a Sinn Fein leader for the first time in three years. Since the 2016 General Election, satisfaction with Mr Martin’s leadership of Fianna Fail remained ten points ahead of Gerry Adams stewardship of Sinn Fein. However, Ms McDonald, who was appointed leader of Sinn Fein in January, now rates higher than Mr Martin. Satisfaction with Ms McDonald’s leadership of Sinn Fein increased seven points since the last opinion poll and is now polling at 46pc. Mr Martin’s popularity dropped four points to 44pc in the same period. Mr Martin has faced serious division in his party over the forthcoming referendum on the Eighth Amendment of the Constitution and questions have been raised over his leadership. In the overall standing of the parties, Fianna Fail (27pc) remains five points ahead of Sinn Fein (22pc), although there has been a three-point swing toward Ms McDonald’s party. Meanwhile, Taoiseach Leo Varadkar’s honeymoon period since being elected Fine Gael leader has come to an end as his popularity dipped for the first time. Mr Varadkar remains the country’s most popular leader but his satisfaction rate (56pc) has dropped two points, while his dissatisfaction rate (34pc) has increased five points. Support for his party has dropped two points but Fine Gael would still top the poll in a general election with 34pc of the vote. Satisfaction with the Government has dropped a point to 46pc, with dissatisfaction going up a point to 46pc. Fianna Fail is still the least toxic political party, meaning it is more likely to pick up votes from supporters of other parties. Sinn Fein is the most toxic party, followed by Fine Gael which has seen its toxicity rate increase five points since the last survey. The poll was taken between April 18 and 30 in the middle of the cervical cancer scandal. The state of the other parties is: Labour, 5pc, Independent Alliance 5pc, Greens 3pc, Solidarity/People Before Profit 1pc and non-aligned Independents 2pc.